Hurricane | Wheeler Machinery Co.
Wheeler Machinery Co. provides products and services to support various industries such as construction, governmental, power generation and demolition. We form partnerships over time with each client and help you upsurge profitability by offering solutions for any challenge. 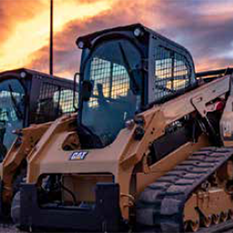 Our foundation of values and passion for exceptional service makes Wheeler your go-to if you’re looking for heavy equipment for sale in Hurricane, Utah. Buying new Cat® equipment in Hurricane, Utah, is the best way to improve your company’s bottom line and develop your fleet. Caterpillar® is the world’s heavy equipment leader because they construct top-performing, durable and reliable machines with excellent fuel efficiency. At Wheeler, we give you possibilities such as attachments, heavy machinery, power generation and air compressors. 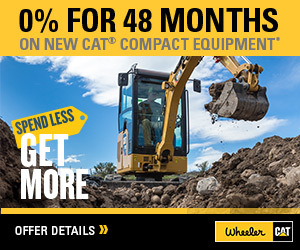 Wheeler Machinery Co. provides you with Cat-certified used machines that our technicians inspect with up to 140 points to cover. We not only maintain each engine with Genuine Cat parts, but we also offer a manufacturer’s warranty, unequaled product support, extended coverage and equipment maintenance history. 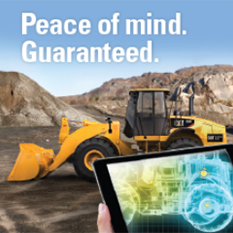 Our experts use modern technology, and each has incredible knowledge of Cat equipment. If buying used is more beneficial than new, you can still gain a competitive advantage with our services and maintained equipment. Wheeler Machinery in Hurricane, Utah, helps you remain productive whether you experience a minor breakdown, need a total engine repair or you require equipment transportation. We travel to your job site with one of our 90 field service trucks to support you with scheduled and lube services, machining and condition monitoring as well as fluid analysis, component rebuild and preventative maintenance. Our technicians assist you in staying efficient and competitive at any location. Our specialists find the problem, repair it and complete tests before giving you the “okay,” and we service any make or model of heavy equipment. We travel to keep you running with our trucks having access to Caterpillar’s technology library and Wheeler’s team of communicators. Each truck has an overhead crane, full tooling, essential diagnostic tools and air compressors. Some have welding operations available. Operating for more than 60 years, Wheeler Machinery Co. supports all types of industries with machines, parts and skilled service technicians. We give you real advice and offer ideal and tailored solutions to boost your business’s bottom line. Visit our Hurricane location, which is next to Washington County Legacy Park, up the street from the Washington County Sheriff and close to Keystone Auto Sales. Contact us online for more information or contact your local Wheeler sales representative. You can also give us a call at 435-634-9904.